Whether you’re in the midst of a pantry challenge or want to stock up on pork when it’s on sale, having a repertoire of go-to recipes is essential to making the most of the other white meat. Stockpiling, or “anticipation buying” is a surefire way to save money on food costs. If you know that an item is a great deal and one that your family enjoys, stock up! Buy enough to last six weeks, about the length of time it will take for that sale cycle to come back around. Store it in the freezer or the pantry if shelf-safe, and reap the rewards. You’ll have the item when you need it. Instead of paying full pop, you’ll have stocked up at a great price. This is one of my basic principles for building a frugal pantry and how we save thousands of dollars on food costs every year. Last week I shared some of my price points for chicken as well as a short list of go-to recipes for making tasty use of chicken and turkey. This week we’re talking about pork, the other white meat. The cheapest cuts of pork in my neck of the woods, southern California, are usually pork shoulder, pork loin, and boneless country-style strips. These typically range in price from $0.99 to $2.99/pound on sale. (I never pay regular price for any meat.) Currently, pork tenderloin is on sale at a local market for $3.99/pound which is a fabulous price for that cut of meat. While we don’t eat a lot of pork, it is a frugal protein that I add to our menu a few times per month. I buy several packages when I see it on sale and store it in the freezer. Sometimes, I marinate it or even cook it before freezing. What do I make with…? If you’re with me on the Pantry Challenge, you may be wondering how to prepare a certain cut of meat that is lurking in your freezer. We’re going to tackle a different kind of meat (including venison) each week so that you have plenty of inspiration. This week we’re talking about pork. 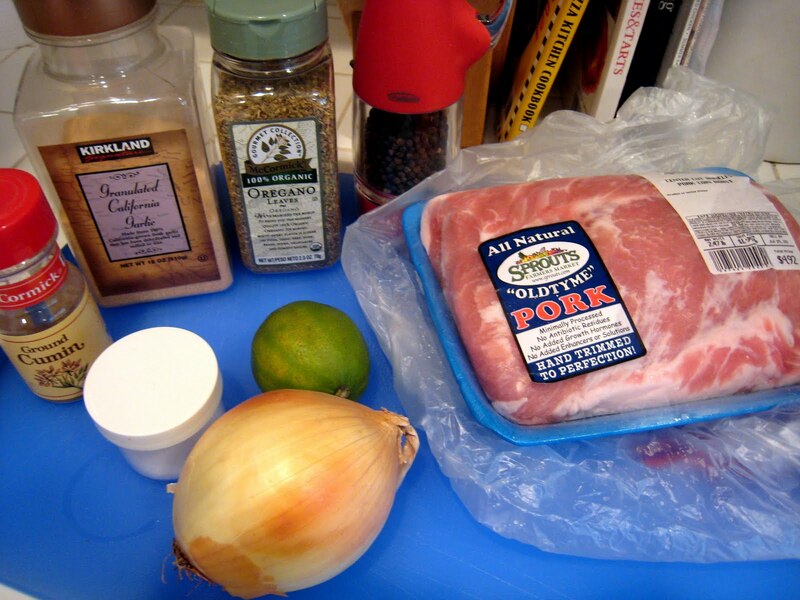 Do YOU have a favorite pork recipe? We put a pig in the freezer every year and have oodles of ground pork.I have had to get very creative but our favorite is noodles,ground pork,pizza sauce,peperoni,garlic and mozzarella cheese.I cook the pasta and pork,then add everything into one pot.Sometimes I add peppers and onions if I have them,basically anything you would add to a pizza goes into the pot and my family loves it. Ground pork is normally around 1.69 a lb here so it is a cheap alternative to hamburger and can be used in any recipe you would use ground beef in.I also make my own Italian sausage which is much cheaper than buying premade. @Mary E.S., I’ve definitely been dreading using the ground pork in my freezer, so will give this a try! @Chrys, I also meant to say Thanks! @Mary E.S., We bought a pig for the first time this year. I’m still trying to figure out what some of the stuff is and what to do with it. The timeless pot roast is a frequent recipient of the pork. I always use a ton more veggies than any recipe ever calls for, but a little meat goes a long way. There’s also pulled BBQ pork (dump pork, diced onion, some garlic, and a can of soda/beer into crock pot until tender, then add bbq sauce and simmer until dinner). I also do a dish very similar to your cumin-lime, but I use a lot more citrus and garlic in mine, and it works just fine with any kind of pork I’ve used. Last time were ribs that were on sale. All 3 of these are crockpot meals, which is great for me! 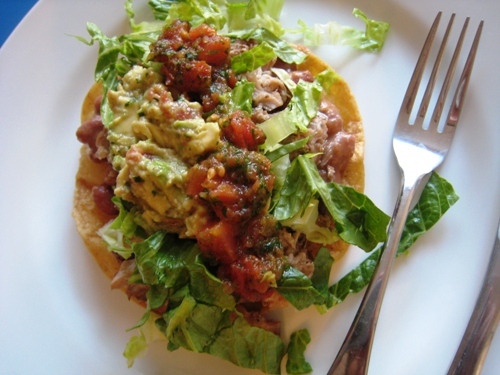 we also love carnitas and pulled pork for a more frugal option. My last pork roast cooked in the crockpot with mexican spices and had it in tacos I then used the rest of the meat to make tamales and later even enchiladas (I actually cooked two roasts since it was Christmas holidays and I was feeding 12 people). I make a pork and rice casserole. I mix into the rice a can of cream of chicken soup (cream of mushroom can be subbed), and a couple of cans of water. Mix well and pour into a baking dish. Top with the pork chops. (You can season them as desired.) I just use salt and pepper. Bake in a 350-degree (F) oven for about 45 minutes. Times may vary. My grandson (18) makes these for his family. It is his favorite dish. He has been making this since he was about 10. He also makes chicken and dumplings. 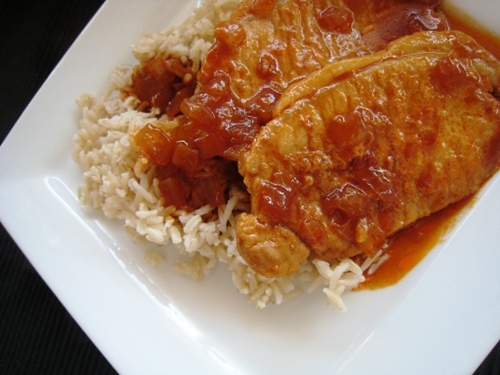 @Deborah Jennings, Oops, forgot to add that we also make Schnitzel with the thin sliced pork chops. I cook them in half butter and half shortening. Bread the chops with bread crumbs and a milk and egg mixture (or you can use just buttermilk), and dip in the bread crumbs again. Fry in the butter and oil until done. Serve with boiled potatoes and brown gravy. A green salad and/or another vegetable makes a complete meal. I got this from a really good friend of ours. I also do shredded pork,hash browns,cream of ? soup(I use celery and mushroom) and top with shredded cheese.Good casserole for cold weather.There’s also burrito’s,carnitas,casidias,pulled pork sandwiches,sloppy joes(ground pork),rice and beans with ground or cubed pork and cumin.Just use your imagination and see how versatile it can be. It is not so much a recipe as something I just do….I took pork steaks or pork chops, brown them in a frying pan and sprinkle with seasoning salt, pepper and garlic powder. Add a little water to the pan and scrape the drippings off, and pour over them in a baking pan. Cover with foil and cook for 30 minute or until tender. We served it with oven roasted garlic potatoes and salad! Yummy! Mmm. Spareribs and sauerkraut! Growing up we would shred our cabbage (from the garden) and make sauerkraut in the basement. I’m not only one in the house that likes sauerkraut now, so it’s been a while. 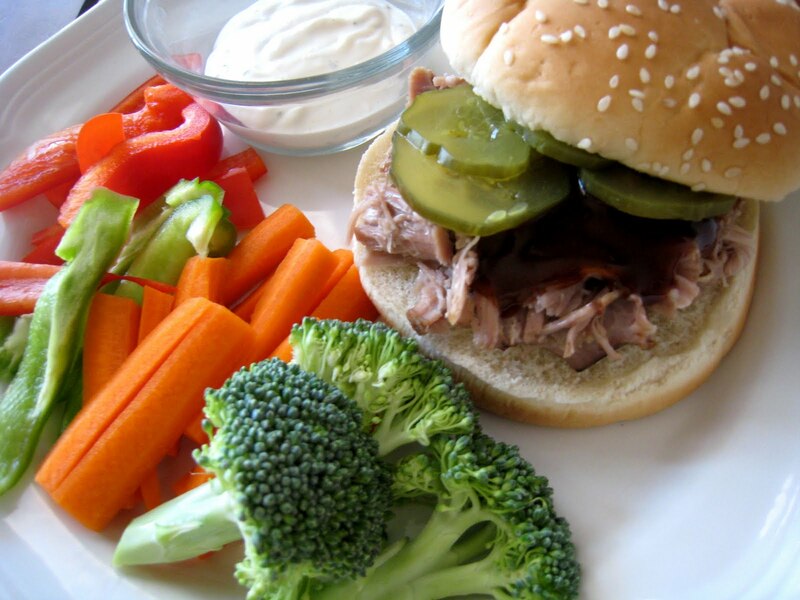 Our favorites are usually chops, pork roast, pork stir fry, pulled pork barbecue sandwiches. I buy several pork tenderloins on sale for 1.69 to 1.99 a pound. I cut my own chops from the tenderloin. We usually fix potatoes and carrots in the crockpot with the pork roast and then make gravy. Sometimes I make dressing instead and put bits of cooked pork in the dressing and serve cranberry sauce with it. If you have leftover dressing you can press it into a loaf pan or dish and put it in the fridge overnight. If you spray the dish with Pam beforehand, the next day it will slide right out into a perfect square and can be sliced for sandwiches. Our family loves it. They put in on homemade bread with a tablespoon of cranberry sauce and have a really tasty sandwich. A nice soup can also be made with cut up pork. Pulled pork sandwiches with coleslaw inside, simple roasted or bbq’d tenderloin, homemade sausage patties, and gyros. Those carnitas look interesting too. Today I did a triple batch of pork sausage pinwheel biscuits for the two that have to go to work early in the morning and have been stopping for fast food (!!) lately. So I think I have just resolved a lot of my challenge issues. And I think I’m going to try Shell’s dressing sandwich idea with some leftover cooked turkey that needs to be used.